The past year has been positively magical for fans of The X-Files. Despite the original show going off the air after a lackluster ninth season in 2002 and the existence of a feature film in 2008 that failed to launch a series of films, the franchise made its way back to the small screen with a six-episode revival on Fox. The first five episodes were solid enough, and though some were certainly better than others, the magical combination of Mulder and Scully was enough to salvage even the weakest of them. All that the revival finale – and possible series finale – really needed to do was close this chapter satisfactorily, unwrinkle a bit of the mythology, and show our intrepid agents once more ready to take on the world together. Well, that didn’t happen. In the “My Struggle II” finale, Mulder and Scully were separate for almost the entire episode, the ongoing mythology of the franchise got a whole lot more wrinkled in time for the end credits, the Cigarette-Smoking Man came back to life again, and it ended without resolving any of the plots that it opened up in the first 59 minutes of the episode. The finale was so disagreeable that it’s hard not to wonder if we wanted to believe just a little bit too much that showrunner Chris Carter had learned some new tricks for 2016. The X-Files had a unique premise from the beginning that was definitely fascinating enough to draw in viewers, but what kept audiences enraptured through the highs and lows of nine seasons and two movies was the dynamic between Agents Mulder and Scully. Even when there were so many UFOs and aliens and consortiums that it was hard to see straight, Mulder and Scully had each other. He made her open her mind to possibilities beyond what could be programmed, categorized or easily referenced, and her strict rationalism and science kept him honest and made him a whole person. They were each other’s constant and touchstone. David Duchovny and Gillian Anderson brought the killer chemistry that made them famous in the 90s back for the revival. Everything was in place for an “us against the world” ending that would conclude the six-episode run well enough without closing the door on another season or movie. It’s pretty unforgivable that Mulder and Scully didn’t interact or speak on the phone until the very end of the finale, and even that scene was dulled by the fact that Mulder was practically comatose. David Duchovny spent the episode opposite either Robbie Amell or a prosthetic-covered fossil character from the original series, while Gillian Anderson’s screen partners ranged from Lauren Ambrose to a handful of extras. The series finale, if that's what it becomes, is not an episode that should have split up the iconic dynamic duo, and there is nothing gratifying about heading off into another indefinite hiatus without getting one last good concentrated dose of Mulder and Scully together. Mulder and Scully's separation wasn’t made easier by the fact that the episode seemed to go out of the way to make the already-complicated mythology of The X-Files even more complicated. There were new twists about alien DNA and another layer of mystery to the smallpox vaccines, as well as the Cigarette-Smoking Man somehow going from a decrepit old man having the skin visibly exploded off of his skull to enough of a power player that everybody still does what he says. It also didn't help that Monica Reyes returned for some flashbacks. There were plenty of questions that could have been addressed without confusing things further with new details. Why the Cigarette-Smoking Man couldn’t take Joel McHale and turn into starlight halfway through the episode so that Mulder and Scully could hang out for the second half is a mystery that shall likely never be solved. 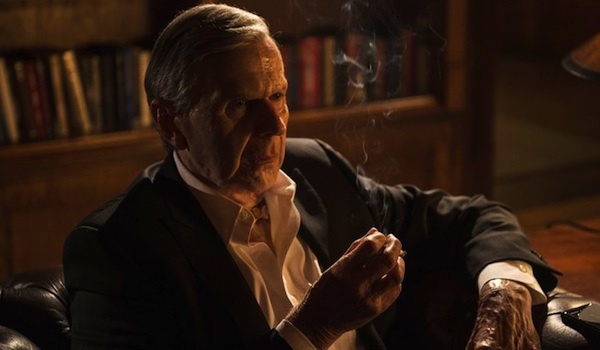 The Cigarette-Smoking Man coming back for the revival did make sense, even if he was totally 100% super dead in the Season 9 finale. He’s the iconic villain to Mulder and Scully, so he was bound to appear in some capacity for the agents’ return to television. Bringing him back to cryptically exposit at Mulder and make some uncomfortable comments about Scully and Monica, all while deepening the mythology, was too much for one episode. The revival was only going to have six hours on the air; throwing the Cigarette-Smoking Man into the thick of things in the last episode made little sense when there were so many other avenues to explore. CSM could have been awesome if there were ten or twelve episodes to the series, but just six didn't allow him to fit in as well as he might have. Almost as bad as the separation of Mulder and Scully was the fact that the finale ended with no resolution on anything. Some shows are brave for ending on cliffhangers, but the only thing that was missing from the end of “My Struggle II” was the UFO dropping a kitchen sink down on Scully. At the end of the episode, Mulder is dying, Scully is needing to track down their son to somehow snag his stem cells to save Mulder, Cigarette-Smoking Man is alive and winning, the population of the world is dying of a bunch of different diseases, Robbie Amell has a very red nose, and an alien spacecraft is hovering over Scully because of course it is. If The X-Files wanted to go out on a cliffhanger, any single one of those would have sufficed. A handful of cliffhangers that may never be resolved was just unsatisfying. Now, it is possible that The X-Files isn’t done for good. Fox has already expressed interest in a possible second season of the revival, and the ratings have been proof enough that plenty of people still care about the show. 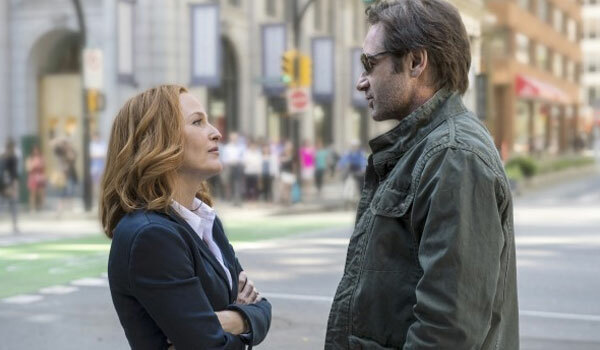 Gillian Anderson has expressed doubt that she could leave her family in London to do more X-Files on a regular basis and David Duchovny has admitted that he’s not up for a season as episode-heavy as those that they used to put out, but more Mulder and Scully is not out of the realm of possibility. For those of us who aren’t left as total skeptics after the events of “My Struggle II,” we can want to believe that there’s more on the way to tie up these latest loose ends. How Did You Enjoy The X-Files Finale?